We can trace our coffees back to their origin so we know from which cooperatives, or from which fincas or farms our coffees come. We regularly visit long-term partners and exchange ideas with them. 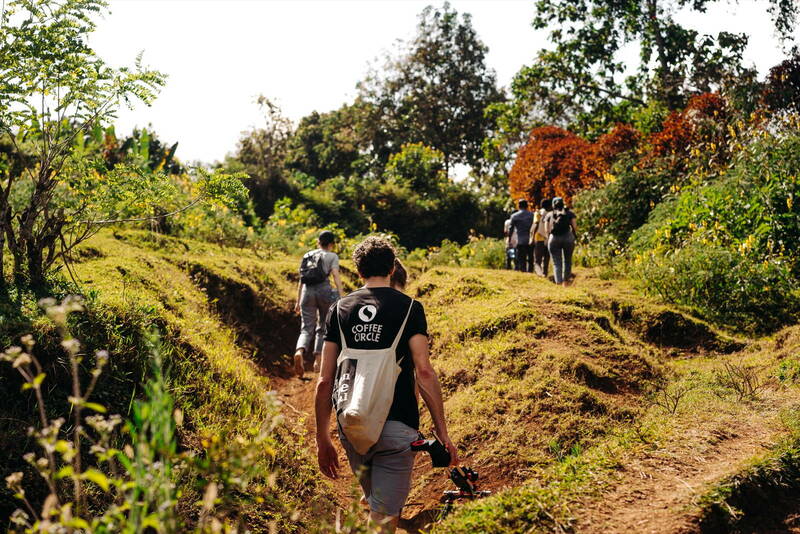 For us, traceability means not only identifying the country and the region, but really knowing where the coffee was grown and by whom it was harvested and processed. This information can be found on every coffee pack. For us, traceability means not only identifying the country and the region. 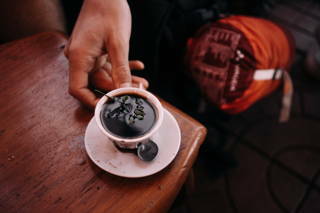 The coffees travel far. From the farmer who grows the coffee to the cooperative, where many farmers‘ coffee cherries are washed and dried, they then reach the Union, a kind of umbrella organisation of cooperatives, which prepares the coffees for export to Europe as well as bringing them to the ports. 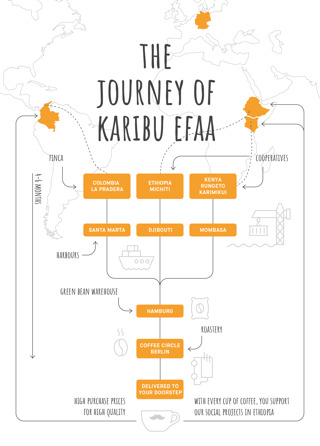 The Karibu Efaa, for example, comes from three growing countries: Colombia, Ethiopia and Kenya. From there, the coffee is transported by ship to Hamburg until it finally arrives at our roasting plant in Berlin. 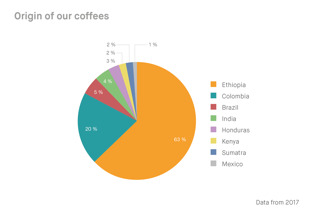 In 2017 we obtained our coffee from 8 countries, with over half of our coffee (68 %) coming from Ethiopia, followed by Colombia with 20 %. It’s important for us to visit partners in the growing countries at regular intervals. Only if we know where our coffees come from we can make reliable statements about the conditions on site. 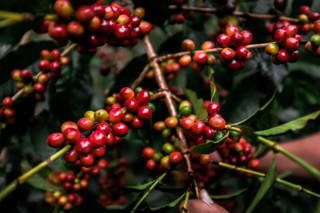 The quality of the coffee plays a role here, as does ensuring sustainable cultivation. From there the coffee is being transported to Hamburg until it finally arrives at our roasting plant in Berlin. We achieve this through improved purchasing planning and the experience we have gained over the years in coffee purchasing. We are particularly pleased that in 2017 we’ve been able to trace 100 % of our coffee back to its origin. 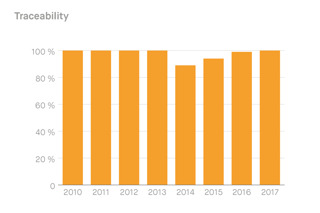 We are pleased that in 2017 we’ve been able to trace 100 % of our coffee back to its origin.